Robert Kruh (Homepage) wrote: Another, just amazing shot! Bravo and Happy New Year! Arjan - PLasticDaisy (Homepage) wrote: Oh wow this is really I shot I envy you for... this is so perfect! gavin hart (Homepage) wrote: Fantastic geometry! Well seen, Paolo. Agnes (Homepage) wrote: Fantastic composition, Paolo! Omar (Homepage) wrote: Just beautiful! beanow (Homepage) wrote: Fantastic processing and effect! Simone (Homepage) wrote: Spettacolare questo gioco di luci, ombre e linee!!! Frida (Homepage) wrote: Such a beautiful reflection in the water. 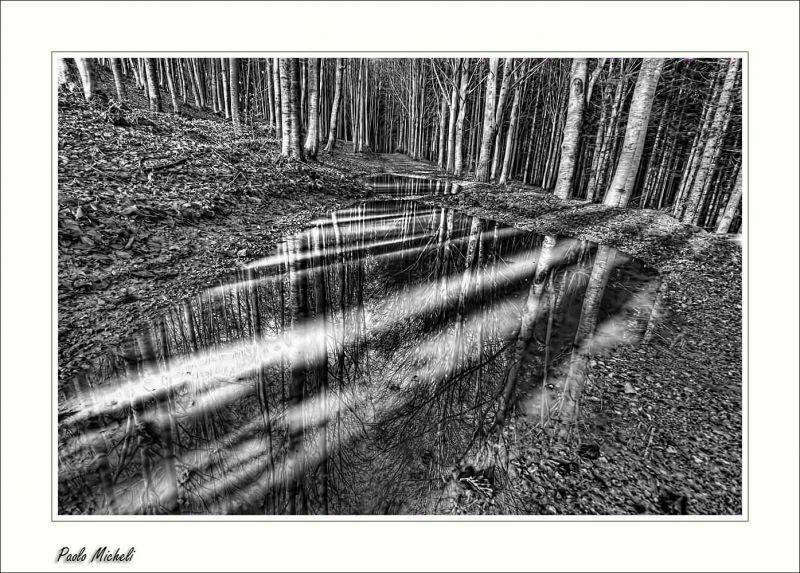 joshi daniel (Homepage) wrote: i loved that clear and sharp reflections! Francesco (Homepage) wrote: spettacolare il riflesso e la composizione tra le linee verticali e le diagonali. pernilla (Homepage) wrote: Beautiful reflection! Love the composition, the light and the lines. Paolo (Homepage) wrote: mi affascina il contrasto tra le linee verticali dei tronchi e le diagonali disegnate dalle loro ombree. stroboscopico. sherri (Homepage) wrote: A stunning reflection. POlydactyle (Homepage) wrote: Wonderful light and contrast.